The two best ways to improve your smartphone photography are "talent" and "practice," but if you'd rather buy your way to better shots, that works too. Nowadays, there's a great selection of accessories like clip-on lenses, stabilizers, stands and other gear you can get without blowing a hole in your budget. If you've been thinking about taking that next step, here are a few questions to ask yourself and some of the best products on the market. Smartphone photography has become so good that you might rightly question whether you need accessories at all. Devices from Apple, Samsung, Sony, LG and Google can achieve a level of quality that was unthinkable just two years ago. 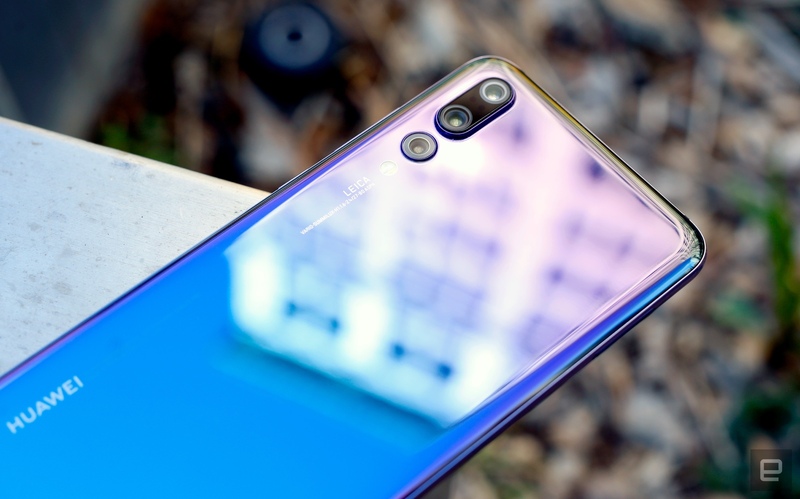 Even second-tier manufacturers like Huawei (above) and OnePlus offer dual-camera systems that are as good as if not better than the big brands. Smartphone makers have stolen some lens accessory business by introducing multi-camera phones and reducing the need for stabilizers with better built-in OIS systems. That said, however, none have truly wide-angle or telephoto lenses, nor could you do any serious video tracking shots with a smartphone alone, sans stabilizer. So there's still a need for accessories to fill in the gaps of what your smartphone camera can't do. With a few well-chosen ones, you can drastically improve your videos and photos for social media and other purposes. Smartphone lenses are better than ever, but there's only so much you can do with parts that are less than a centimeter across. That's where clip-on lenses come in. The extra glass can let in a lot more light and give you better control of exposure, color temperature and other parameters via the apps. Some lenses, like ones from Olloclip and Aukey, are relatively simple affairs that clip directly to your phone, while others, like models from Moment, require a case for your specific model of phone. Bear in mind that none of the lenses will improve the clarity of your photos, as the light still passes through the smartphone's built-in lens. They can make the quality worse, though, if you buy a cheaply built lens. If you do want better quality, with a much bigger sensor and lens and a smartphone's ease of sharing, then you'll need something like the DxO One. That's essentially a stand-alone camera -- with its own sensor, lens and aperture -- that's powered by your smartphone via an app. Those are great, but the DxO one runs over $500, so you might as well just buy a really good compact camera like Sony's RX100 Mark III, which can currently be found for just over $600. Most smartphone photo nuts agree that Moment is at the top of the clip-on lens heap. The company, which first came on the scene via Kickstarter in 2014, recently released new versions of its five lenses (superfish fisheye, wide, tele portrait, anamorphic and macro). It also launched new cases that attach them more firmly and work with the latest iPhone, Pixel and Samsung Galaxy smartphones. The lenses are a bit pricey (between $90 and $100 and up to $120 for the anamorphic lens, plus another $30 for the case, or more for the battery cases), but the glass construction and multi-element design provides some of the best image quality you can get on a smartphone. Built with aerospace-grade metal, they attach easily and firmly to the phone case with a twist, just like on a DSLR. The app is also easy to use and gives you more control than you'd get with most built-in smartphone camera apps. That said, Moment touts the tele portrait lens as being sharp in the middle but deliberately soft on the edges, to give a slightly dreamy look. So if you don't want the soft edges for portraits, you're better off sticking with your smartphone camera. Olloclip works only on the iPhone, even though Samsung, Google and others are making arguably better smartphone cameras now. If you're using an Apple device, however, it has a lot to offer. For $100, you can get the Core Lens set for iPhone 7/7 Plus or 8/8 Plus, which includes a fisheye, 15x macro and super-wide lens. The same lens set is also available for the iPhone X, but it's called the "Mobile Photography Box." Much like with the Moment, it comes with its own app that extends what you can do with the regular smartphone camera app. It's got great optics for the price, and you don't need to buy a case to attach the lenses like you do with Moment. However, you can't use both lenses on the iPhone 7 Plus and 8 Plus models, and it doesn't work with most iPhone cases. If you can live with those limits, and the fact that it's iPhone only, Olloclip will improve your smartphone photography on the cheap. 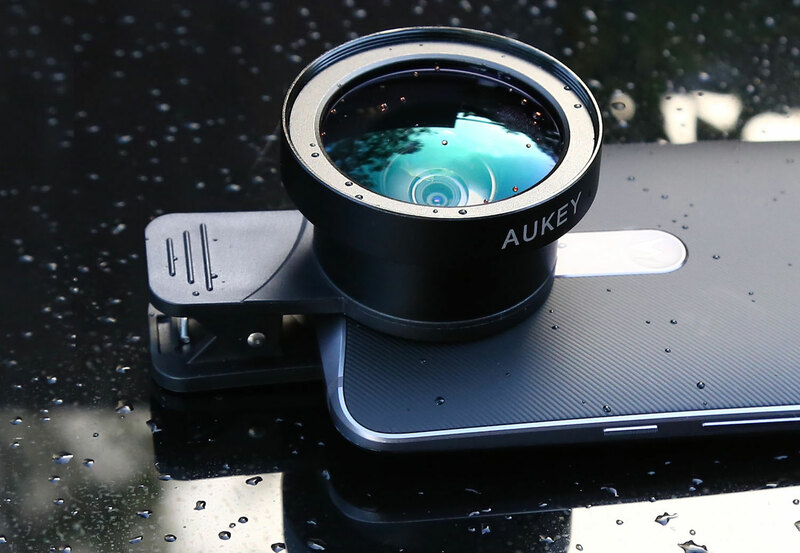 If you're toying with the idea of clip-on lenses, but not seriously enough to drop a C-note or more, Aukey's Ora kit might do the trick. For just $20, you get a 140-degree wide-angle lens, plus a 10x macro lens for close-up shots. The housings are built from aluminum alloy, the glass is coated to prevent ghosting and flares and the grip has rubber contacts to minimize slipping on your phone. What's more, it works with a number of smartphones, including the iPhone 8. If you want to do Facebook Live or Periscope videos without shaky video, you'll need to consider a smartphone stabilizer at some point. Available in both manual and motorized versions, they remove all the bumps and jerks in your shooting, letting you create a more cinematic experience. Just remember they're not a magic bullet -- it takes some practice to get the kinds of results you'll see on YouTube. The Zhiyun Smooth 4 is at the top of most smartphone videographers' lists, because it's well built and does a lot for the money. 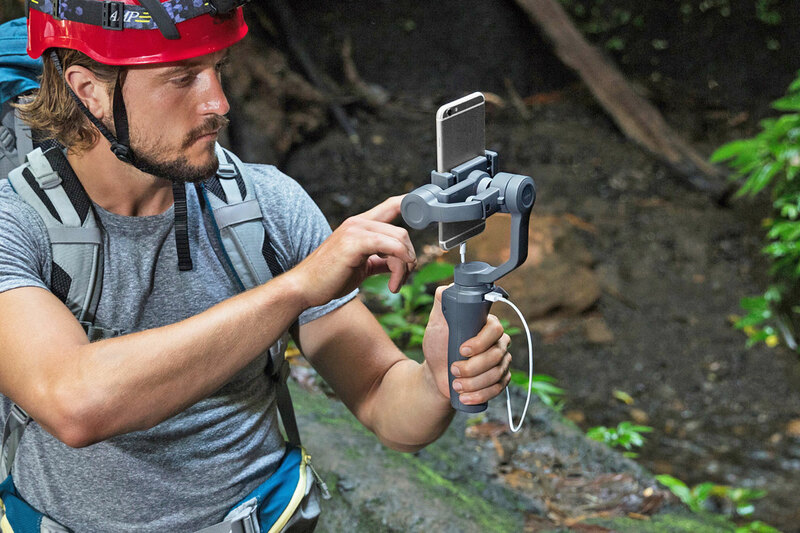 It's made from metal (unlike the DJI Osmo Mobile 2), it's fairly lightweight and it can handle any phone with up to a 7-inch screen (up to 500 grams, or 1.1 pounds). It offers two-way charging, so you can juice it with a portable charger while charging your phone at the same time. What separates it from the pack, though, is all the features. Multiple triggers let you instantly set different follow modes: PhoneGo mode for instant scene transitions or a locked-off mode for quick movements. The side wheel lets you pull focus or zoom, while the control panel offers options for POV orbiting, time lapse or "vertigo shots" (dollying in while zooming out, the effect that Hitchcock made famous). 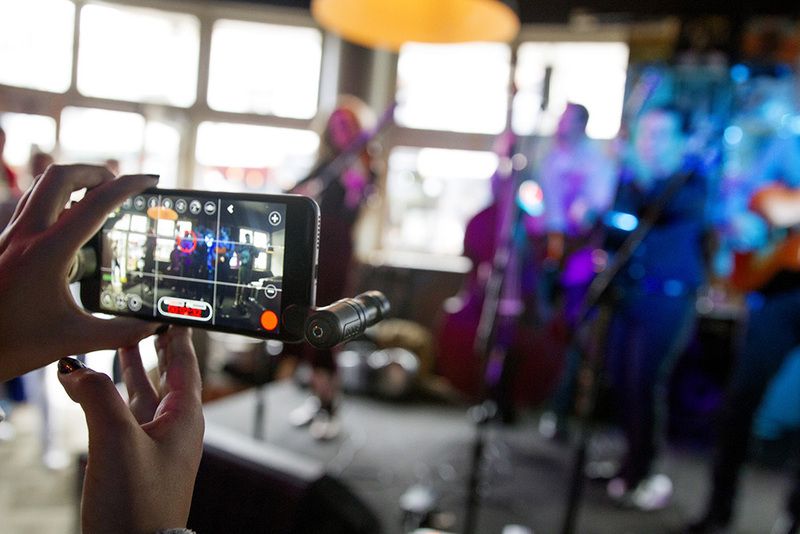 You get all that for $149, making it a no-brainer for serious smartphone videographers. 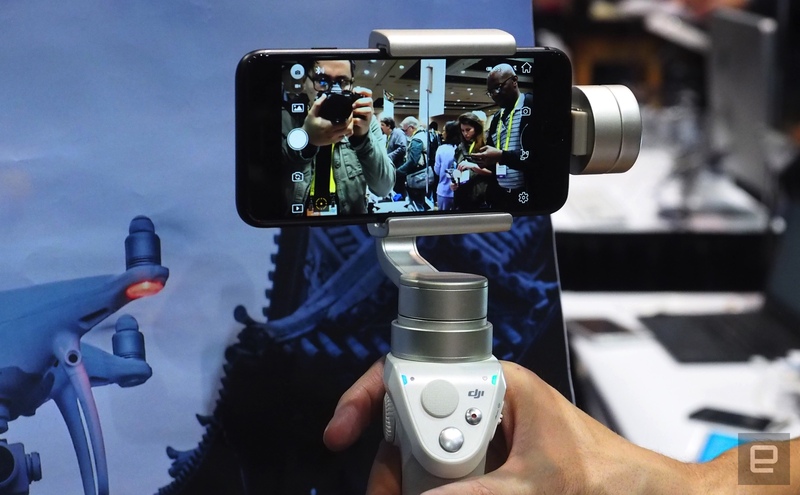 DJI helped popularize smartphone stabilization with the original Osmo and Osmo Mobile (at top), but the latter is pretty costly at $299 and doesn't work great with large phones. At CES 2018, it launched the much cheaper $129 Osmo Mobile 2, which is now built from high-strength nylon instead of metal. You can't hot-swap the battery on the Mobile 2 as you could with the original, but there's less need, as the built-in battery can last three times longer -- up to 15 hours. Unlike on the Zhiyun Smooth 4, the controls are pretty basic, though you might argue that this makes it easier to learn and operate. You can also quickly re-center it by double-tapping the mode button, an operation that's harder to do on the Smooth 4. It's easy and quick to switch to the front camera button, making vlogging a relative snap. Unfortunately, to switch the camera to portrait mode for Instagram stories, you need to manually remove it and flip it around. Otherwise, it's better than the original in every way, and also cheaper. Smartphone photography has a few other weak points besides the lenses and stabilization systems. It's nice to have something to hold your phone if you're a one-man videographer, for instance, and the flash and microphone quality still isn't great. These last few accessories can fill all of those holes. Joby's flexible tabletop GorillaPod tripods have long been popular with videographers, especially vloggers, because they act as a convenient handle and tripod in one. 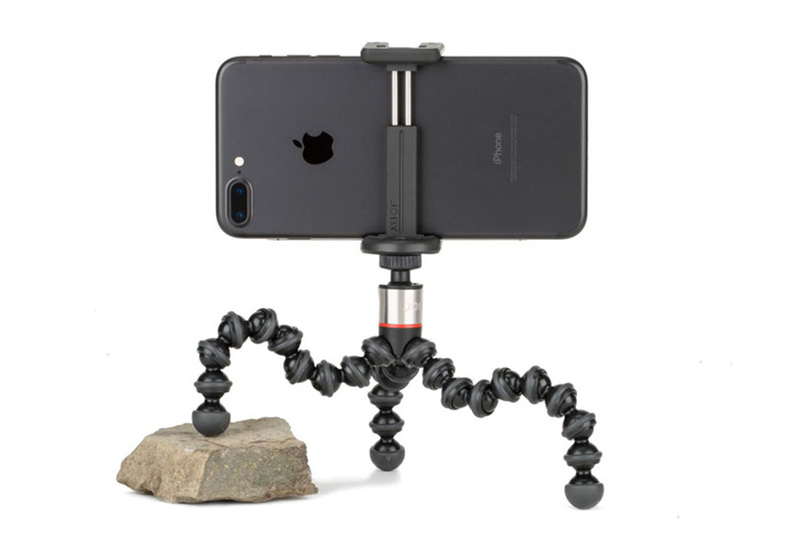 The GripTight GorillaPod can handle any smartphone measuring 66 to 99 mm (2.6 to 3.9 inches) -- just pull the clamp open, insert your phone and tighten the screw. Then you can set it on rocks or other uneven surfaces or even wrap it around a tree, giving you an instant camera mount. It's just 12 inches tall and weighs 2.4 ounces, so it can travel anywhere, and at $30, it's a must-have accessory for smartphone videographers and photographers. When extolling the virtues of their cameras, most smartphone manufacturers don't talk about the flash. Suffice to say, most are pretty dim, so if you're doing a lot of night shooting, you could probably use some help. 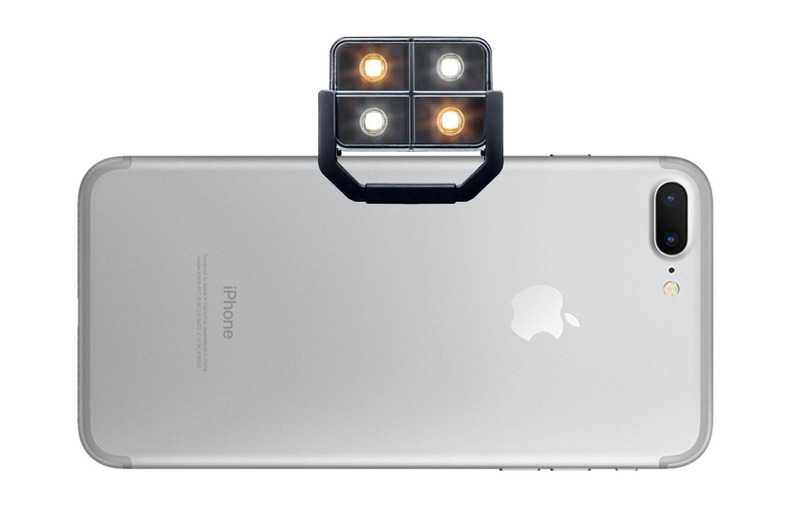 The 3.5-ounce, $50 iBlzr 2 has four LED lights that can clamp to the top of your iOS or Android phone and sync to the stock cameras over Bluetooth. It can extend your shooting distance by 80 feet, compensate for indoor lighting, and handle 300 flashes or three hours of continuous light on a charge. Another thing you don't hear a lot about is the quality of your smartphone's built-in microphone. Most aren't acceptable for anything approaching professional video, and that's where Rode's VideoMicro and VideoMic ME come in. 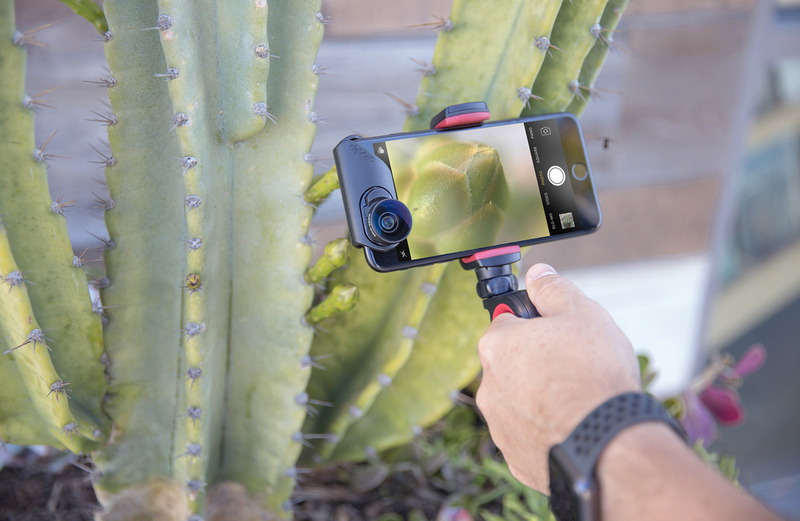 Both are around $60 and include a (hilariously big) furry windshield, but the latter is just for smartphones, and the VideoMicro can also be used on a camera. Both focus the sound in front of the camera, reducing peripheral and rear noise. You can even plug in a set of headphones so you can monitor the sound quality in real time. With all the excellent smartphones released over the past year, everyone has a camera in their pocket. What compromises do remain can be addressed with a lot of the gadgets mentioned here. While some of them are expensive, it's a heck of a lot cheaper than buying a new compact camera, and the results you'll get will be nearly as good.